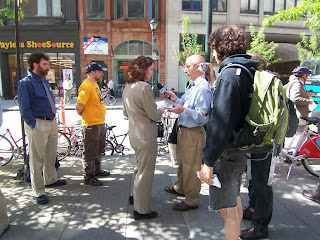 We had a great showing this morning at the Chestnut Street Bike Corral of Coalition members and members of the press. Thanks to everyone who came. Read Steve Tawa's story on KYW News 1060 here.